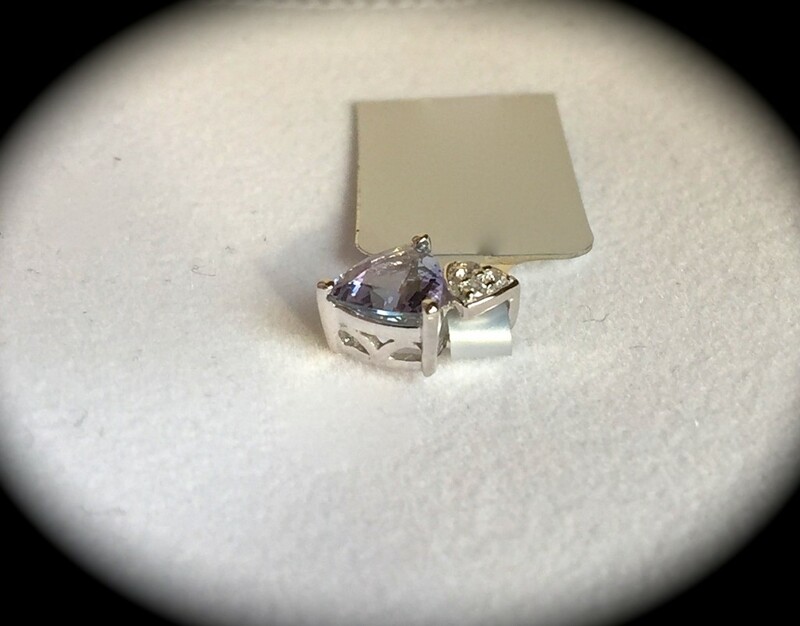 What a beautiful 9k white gold pendant set with a rare bi-colour tanzanite measuring 6mm x 6mm trillion shape and weighing 0.76 carat so not a tiny gemstone! 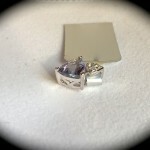 The length of the pendant from the top of the bale is approximately 10mm. 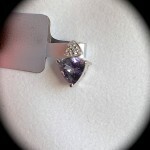 The tanzanite has a good depth of colour which is difficult to describe as the stone looks different dependant upon the light source! 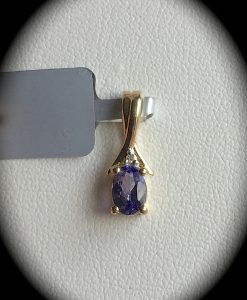 Please be assured, the tanzanite has been professionally authenticated and graded for colour by a reputable jeweller which is an extremely important factor when purchasing these rare gemstones! 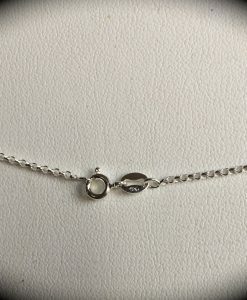 To add that touch more luxury, genuine ice white zircon has been set into the design. 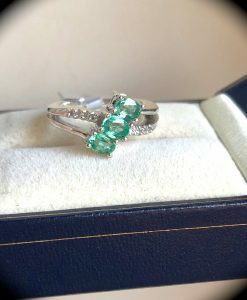 Please do not confuse zircon with the man made cubic zirconia, zircon is a natural gemstone, one of the oldest known to Mankind with the brilliance of a diamond! 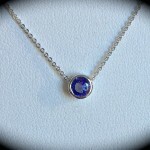 We are sure that whoever decides to buy this pendant will be delighted with their purchase. 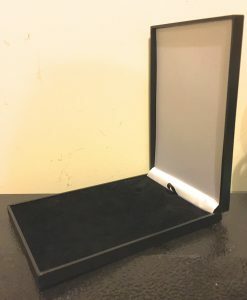 The pendant is hand crafted to a high standard and is NOT mass machine produced and is brand new with tag and will be delivered to you in a premium quality presentation box. 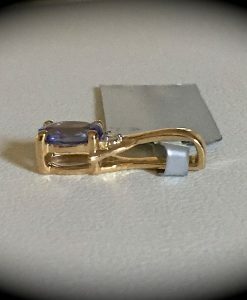 It is extremely important to purchase tanzanite that is accompanied with either a Certificate of Authenticity from a reputable jeweller or is certified by a recognised gemological institute. 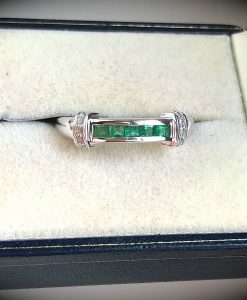 It is evident that the market has been flooded with many tanzanites that have been coated to enhance the colour or the worst case scenario are glass! 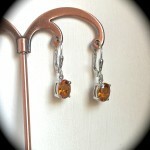 If you are not 100% satisfied with your purchase we will gladly accept a return & offer a full refund. If you have any questions, please do not hesitate to contact us. 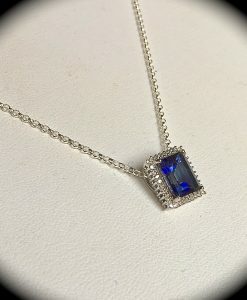 Please feel confident in purchasing from Tam’s Tanzanite in the knowledge that we have sourced vast amounts of tanzanite and please be assured, we only select the finest quality of stones for saturation of colour and clarity to offer for sale on our website. 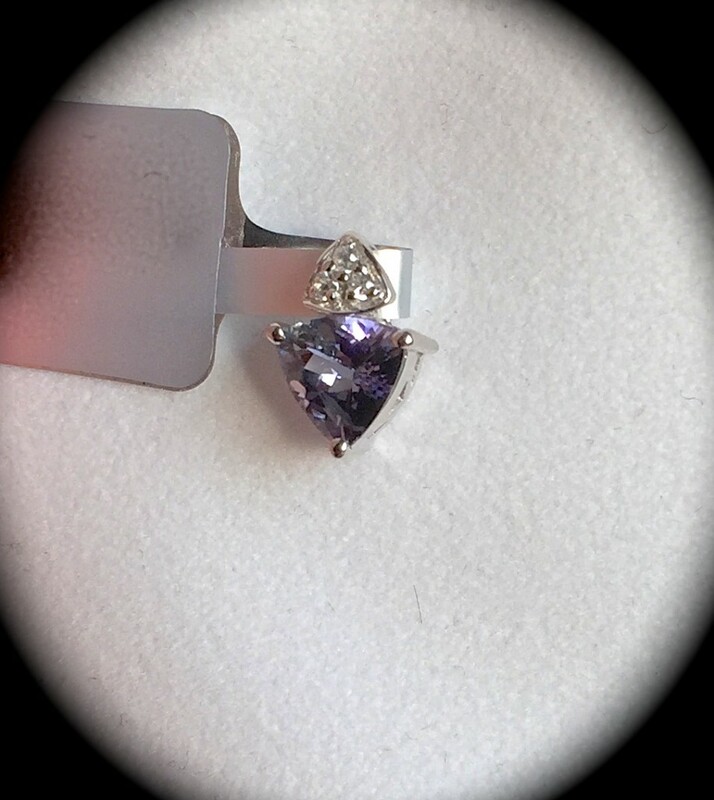 Please take a look at our feedback with over a thousand satisfied customers who have bought predominantly tanzanite from our Ebay store and we are happy to say, have now established a fantastic customer base who return to us regularly. 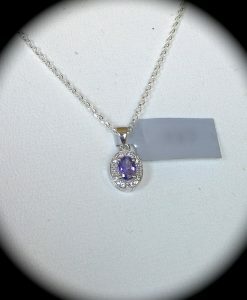 TANZANITE & DIAMOND PENDANT 9K Y GOLD ‘CERTIFIED AA’ PRETTY PIECE! 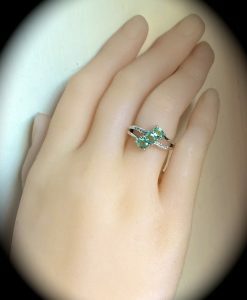 NATURAL EMERALD & DIAMOND HEART PENDANT & CHAIN 925 SILVER ‘CERTIFIED’ EXQUISITE COLOUR & GLOW! 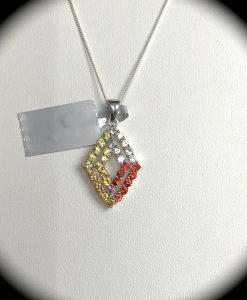 1.79ct Genuine Rainbow Sapphire Pendant & Chain 925 Sterling Silver “CERTIFIED” Stunning!